Is he sitting at a rooftop bar? No, he’s on a balcony at the Opel compound in Rüsselsheim, Germany. Andrew Leuchtmann, head of Seating Development, gets comfortable in one of the AGR seats. Seats number among the most important car components – they need to fulfill stringent safety requirements and boast a high level of comfort. Andrew Leuchtmann, head of the Seating Department, explains how he promotes the development of exceptional seats. Roof-Top-Bar? Nein, ein Balkon auf dem Rüsselsheimer Opel-Gelände. Andrew Leuchtmann, Hauptabteilungsleiter der Sitzentwicklung, macht es sich in einem der AGR-Sitze bequem. In the pioneering days of automotive manufacturing, vehicle manufacturers didn’t approach the development of features such as seats in a particularly precise way; they simply took a driver’s box and placed it in a car. This type of seat was lifted directly from the most popular mode of transport of the time, the horse-drawn carriage. The Lutzmann patented motor car, one of the first vehicles to revolutionize transport on the streets of Europe (and the vehicle that brought Opel into the automotive business in 1899), featured just such a seat; namely, a wooden block covered in fabric. Today, 117 years later, the driver’s box has long given way to high-tech seats that fulfill the highest safety requirements – and more. 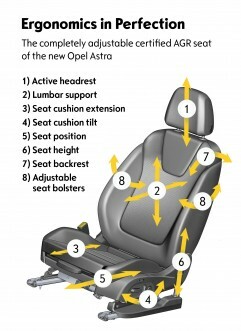 Opel drivers can now enjoy armchair-like seats with 18 different settings, including a massage function. Moreover, for the first time ever, passengers in the back row can also enjoy heated seats. A few additional features ensure even greater seating comfort, including ventilation, lumbar support, and massage mode. What’s more, you can also save all of your personalized settings. Opel’s excellent seating technology is now also available for the new Astra. This technology has been praised by the experts working at the Aktion Gesunder Rücken e.V. (AGR; Campaign for Healthier Backs), who certify ergonomic and premium seats. One hundred of our Rüsselsheim-based developers and experts work to ensure that the brand fares well against competitors’ seats. His first name sounds English, but his last name sounds German – how come? It’s because Leuchtmann’s mother hails from the Scottish city of Glasgow. From a technical standpoint, the seat is the point where the driver meets the vehicle – because of this, safety is a crucial factor in seat design. Considerations such as protection from loads (load securing) and seat structure have always been crucial to Leuchtmann’s work, starting with his very first project, the Omega. He has been Head of the Seating Development team in Rüsselsheim since 2003. The first of these is design. It includes both the appearance of the seat as well as – in cooperation with the Package Team – considerations such as ensuring that it provides sufficient legroom. Engineering, which, thanks to ultra high-strength steel, ensures that Leuchtmann’s team can create a stable, safe, and lightweight seating structure with millimeter-thin walls. 3. Electronic systems define the seat’s adjustment options, both vertical and horizontal, and coordinate its massage settings and ventilation. Chemistry – the seats feature highly processed yet comfortable cushioning made from polyurethane foams, which can absorb even the greatest shocks that arise while the car is being driven. Many different kinds of specialists help make seats, including ones with proprietary textile and sewing expertise. This expertise is necessary for developing proper seat covers, whether they be made from synthetic materials or nappa leather. These covers need to have the proper dimensions so that all of the necessary components can easily fit inside them. 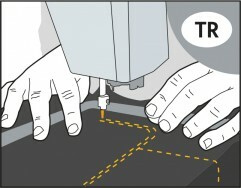 Extensive internal manufacturing expertise ensures that high-tech seats, which are developed using computer simulations, can be made in keeping with the utmost standards of quality. 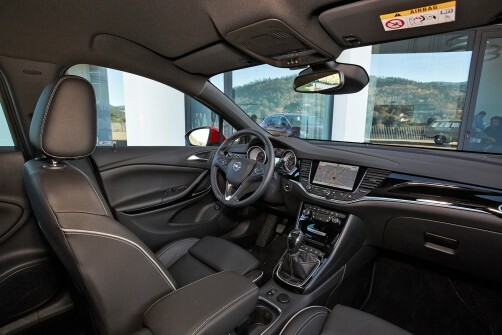 The front seat structures in the new Astra Sports Tourer, for example, were entirely made in Opel’s Kaiserslautern, Germany plant. The ergonomic and premium seats in the new Astra have been certified by the experts working at Aktion Gesunder Rücken e.V. 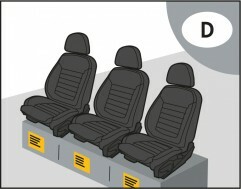 and continue the Opel tradition of excellent seats that go easy on passengers’ backs. The rear features an armchair-like seat with 18 settings, including a massage function, and the second row features heated seats – a first in the automotive industry. Opel’s first ergonomic seat was introduced in the Signum in 2003. Opel/Vauxhall does not simply develop a seat – the company works together with suppliers to create a wide-spanning network. 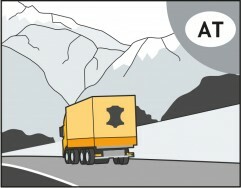 The leather for the seat is sourced from Austria, and is then shipped to Slovenia. The ‘cut kits’ are transported to Turkey, where they are sewn together into seat covers. 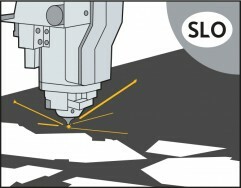 At the plant in Slovenia, ‘cut kits’ are produced in matching shapes using a laser-based technique. 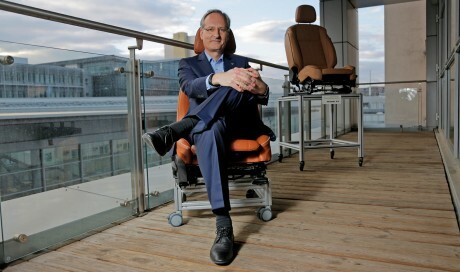 From Turkey, the leather seat covers are sent to Lear’s plant in Ginsheim-Gustavsburg. 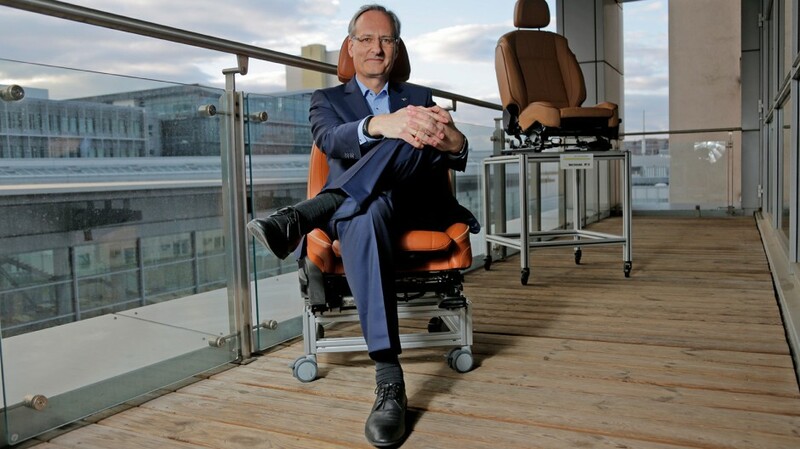 According to a study held by the trade magazine auto motor und sport, ‘comfortable seating’ represents a make-or-break criterion when it comes to purchasing a car for 62 percent of potential customers. According to AGR, 80 out of 100 people suffer from back pain. This particularly applies for industrial nations. AGR wants to support research that aims to find a solution to this problem and supports companies who provide ergonomic products for the workplace and other environments where peoples’ backs tend to be subjected to strain, such as vehicles. Andrew Leuchtmann has taken up the issue of back pain in his work in Seat Development and established a cooperation with Aktion Gesunder Rücken e.V. in 2001. This led Opel to become the first automotive manufacturer to date to have received AGR’s seal of quality. Intensive cooperation between Opel and AGR continues to date. Because of this, Opel will host the ‘15th Day of Back Health’ conference in March, having taken up the invitation to do so from AGR leadership. 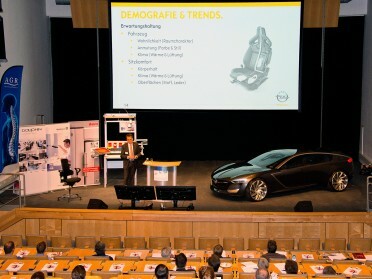 During this event, which will be held in the auditorium in Rüsselsheim, sport and work scientists as well as participating companies such as Opel, Waldmann (lighting specialists), and Daupin (seating specialists) will discuss issues such as prevention, demographics, and cost pressures. What expectations do given consumer groups have for vehicles and the seating landscapes inside them? 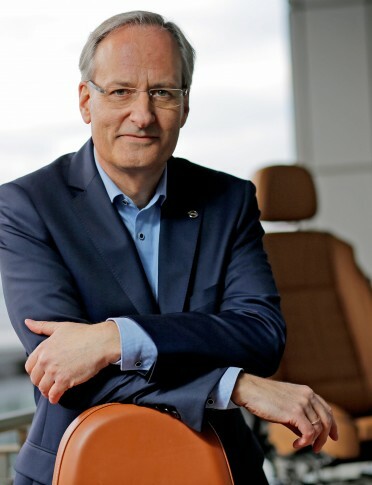 Rainer Grünen, Opel’s Ergonomics expert, will answer this question during the ‘Aktion Gesünder Rücken’ conference, which will be attended by just under 100 experts from various industries. 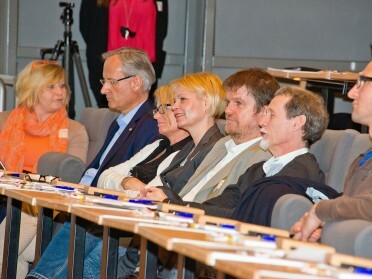 Listening, discussing, and presenting their own projects that promote AGR’s principles: Sports and work scientists as well as representatives from a number of companies will come together at the ‘15th Day of Back Health.’ Andrew Leuchtmann (second from left) will host the event. 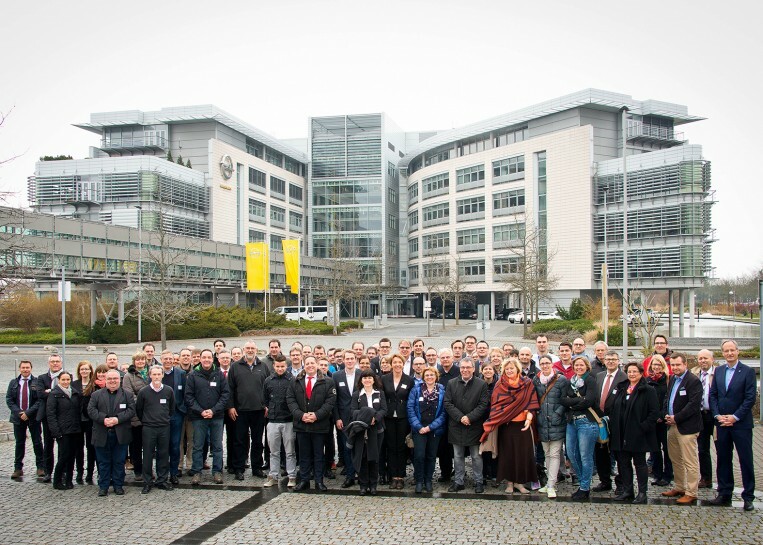 And now, say: ‘Opel Astraaaa:’ The conference includes a visit to the plant. During this visit, participants will gather for a group photo in front of the Adam Opel Building.